This apparently homemade suffragette doll, probably dating to circa 1913, is part of the National Museum of Wales collection. 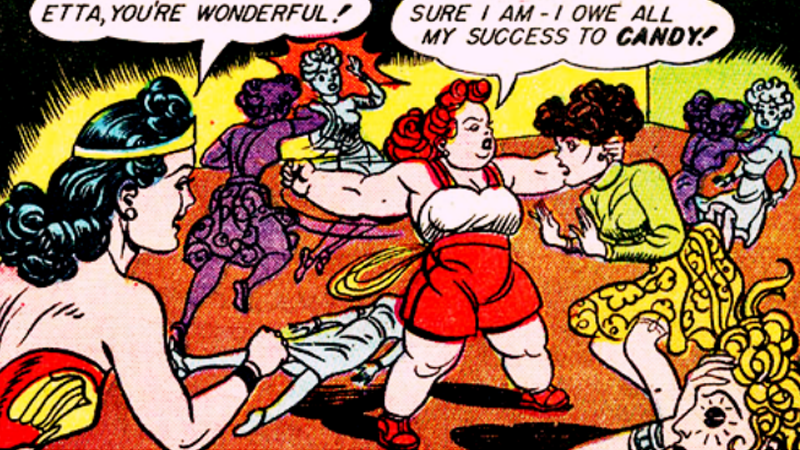 Going by her name, Flora had no qualms about taking the fight for women’s rights literally; perhaps she was the original feminist action figure. 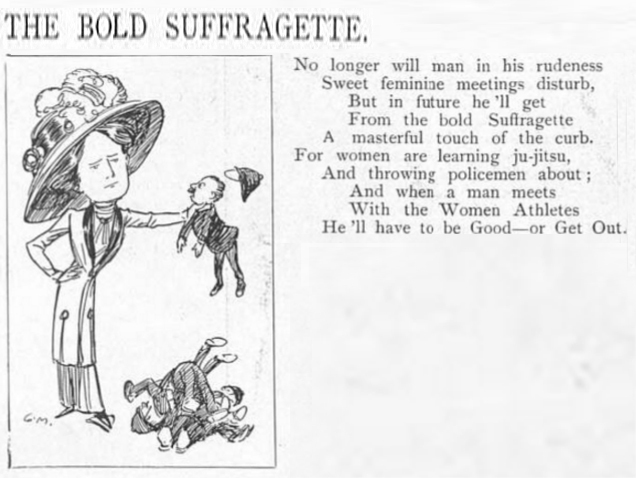 As suffrage protests became more radical, they proved irresistible targets for satirical cartoonists. 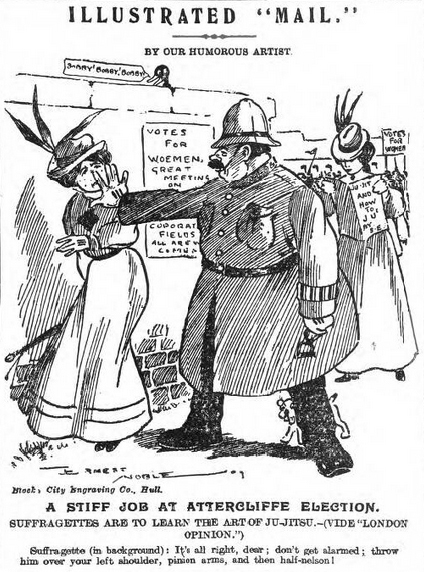 Both protesters and police constables were satirized, as in this “Votes for Women!” cartoon from c1909. Edith Garrud, former trainer of the English Suffragette movement’s Bodyguard Society, demonstrates a jujitsu wrist-lock on journalist Godfrey Winn during an interview for Woman Magazine. The interview took place on the occasion of her 94th birthday.